I am always inspired to create sumptuous yet simple recipes that provide great nutrition for the body and a little creativity for the mind. I especially love playing around with new ingredients and flavours, and of course trying, testing and introducing them to you too! This past weekend, I acquainted myself with Matcha, a finely milled green tea powder that has put a spring in my step (and colored a number of my mugs bright green). I’ve tasted matcha in beverages before, but I hadn’t worked with it myself now. Truth be told, I’m not a huge green tea lover (I usually have to sweeten it quite a bit to enjoy it), but matcha green tea? Game changer. 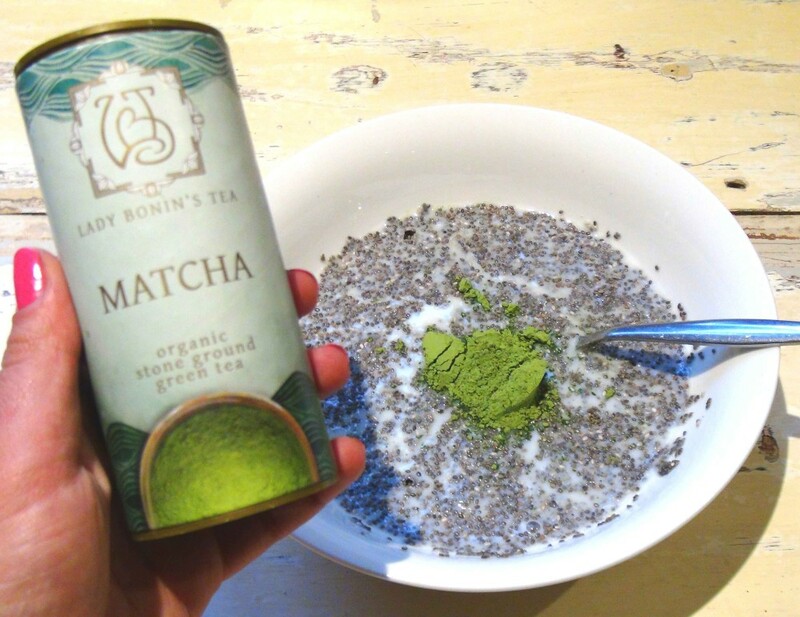 Matcha is a bit of an investment, however you can certainly find higher quality Matcha tea such as Lady Bonins reasonably priced on the Faithful to Nature online store. 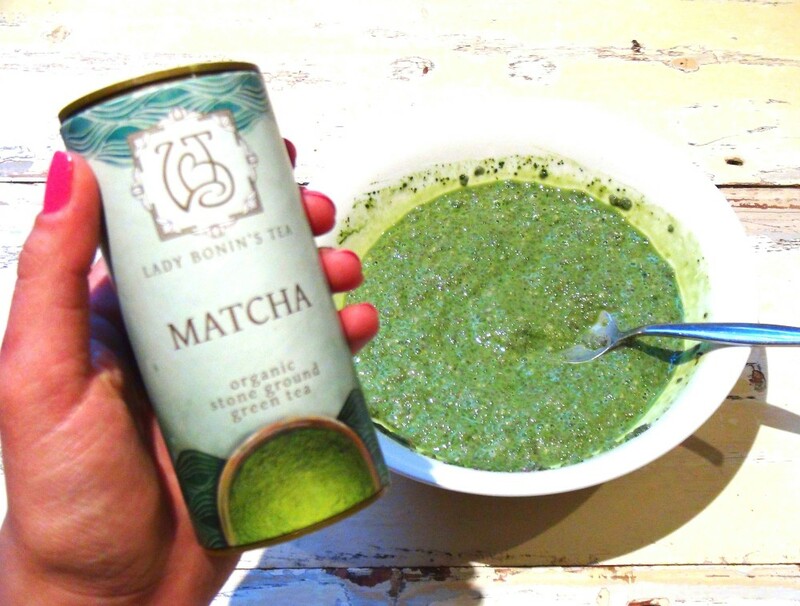 The good news is that you only need about a half teaspoon to make one cup of strong tea, so a container of Lady Bonins Organic Stoneground Matcha tea will yield you a large amount of servings. Delightful as freshly brewed Matcha is, I was inspired to try it in a chia pudding; my standard rotation of chocolate, berry and vanilla chia is getting a little old. I loved it, and I’m happy to share it with you today. 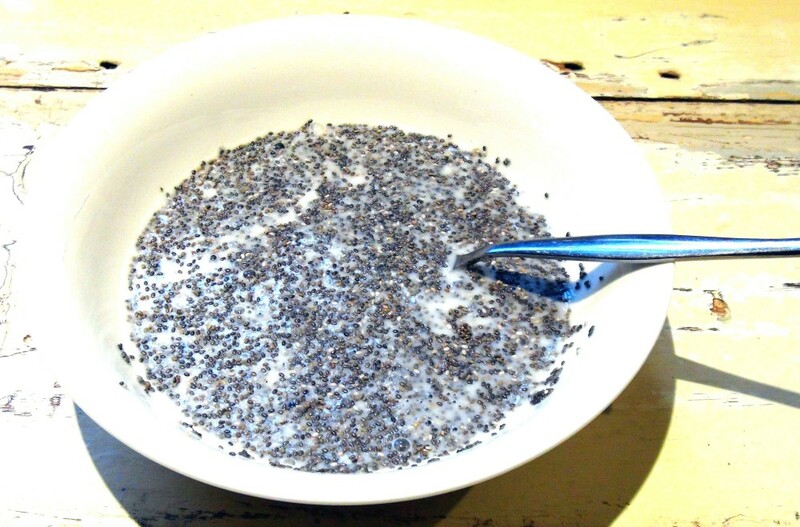 Place chia seeds in a medium sized mixing bowl. Add almond milk, Lady Bonins Organic Stoneground Matcha Tea and a little water. Stir well, cover and allow seeds to soak in the fridge overnight (about 8 hours). 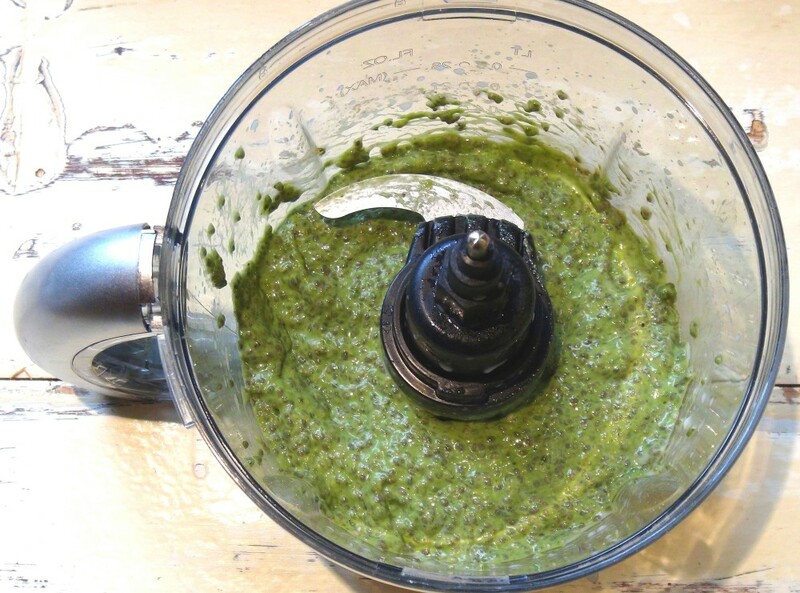 Remove from fridge Decant soaked chia, almond milk and Matcha mixture into a blender. Add vanilla extract, tahini, peanut butter, xylitol, cinnamon and pecans and blend on medium speed for 1-2 minutes until all ingredients are thoroughly incorporated. If mixture is a little too thick, then add small amounts of almond milk for a smoother consistency. In a serving glass / dessert dish, place 1 tbsp. flaked almonds at the bottom, followed by 2 tbsp. Matcha chia pudding, then layer with 1 tbsp. red currants, and repeat until you reach the top of the serving glass / dessert dish. Top with remaining redcurrants and almond flakes, and add goji berries, cranberries and sesame seeds.